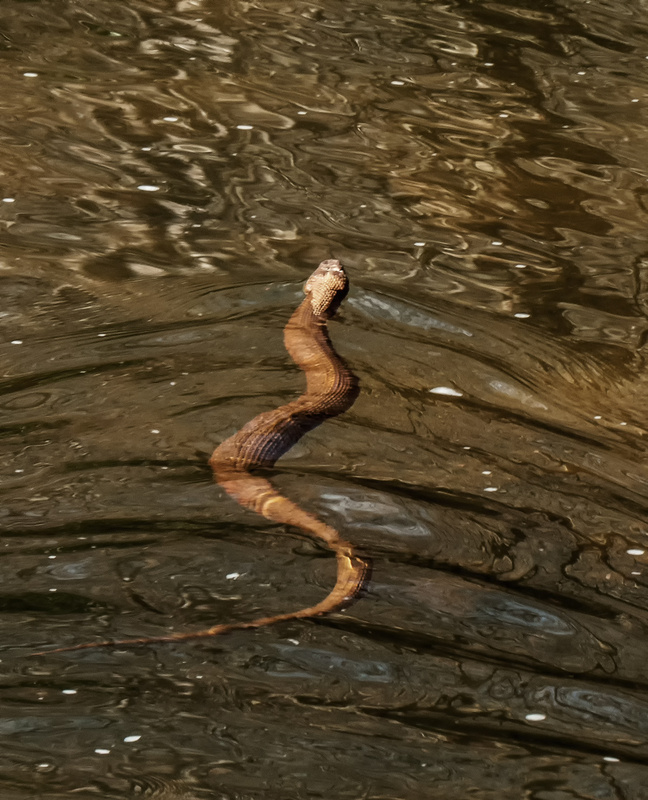 As I was exploring the edge of a small stream in Northern Virginia yesterday, I suddenly noticed a snake slowly swimming upstream. Its head seemed quite a bit lighter than its patterned body and I initially was confused by it. 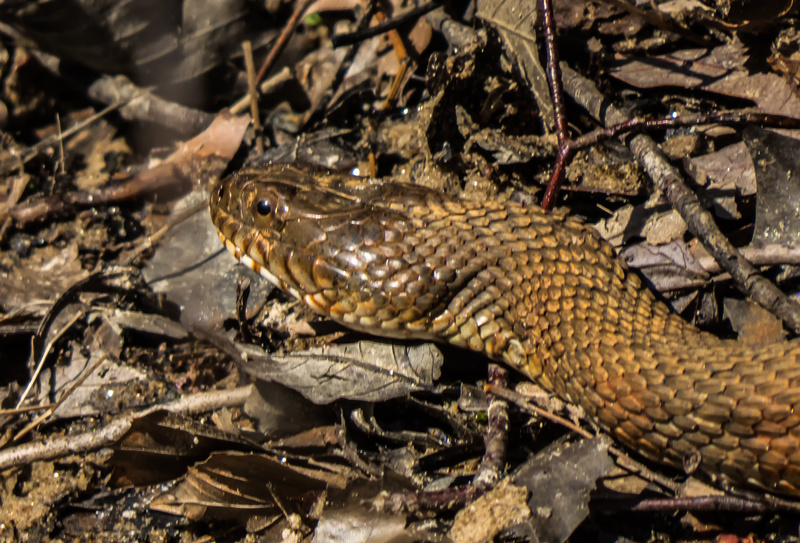 When I examined the photos afterwards, it appears the snake, which I think is a Northern Water Snake (Nerodia sipedon), was in the process of shedding its skin. 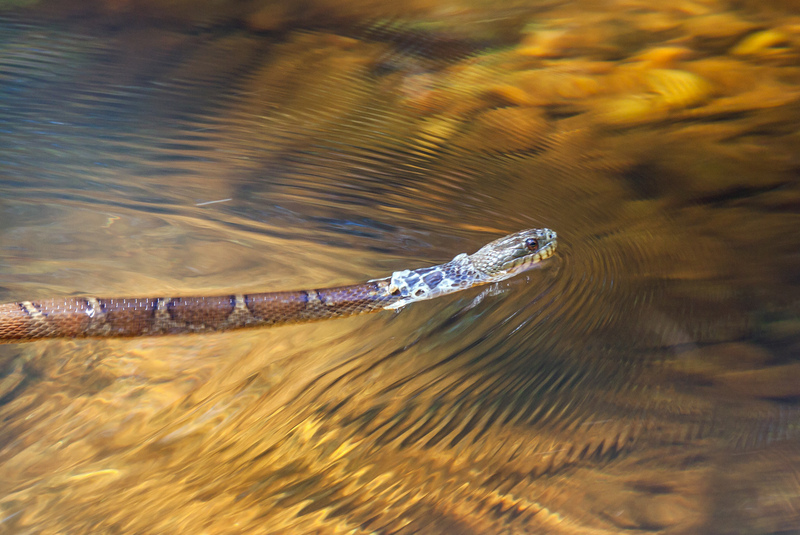 Northern Water Snakes are non-poisonous, but I never have a desire to get close to any snake that is in the water. From what I have read, I know that these snakes will bite you repeatedly if you try to pick them and their saliva contains an anti-coagulant that will make the wound bleed a lot. At the time that the snake appeared, I was shooting with a 180mm macro lens, so any zooming that I was able to do was with my feet. 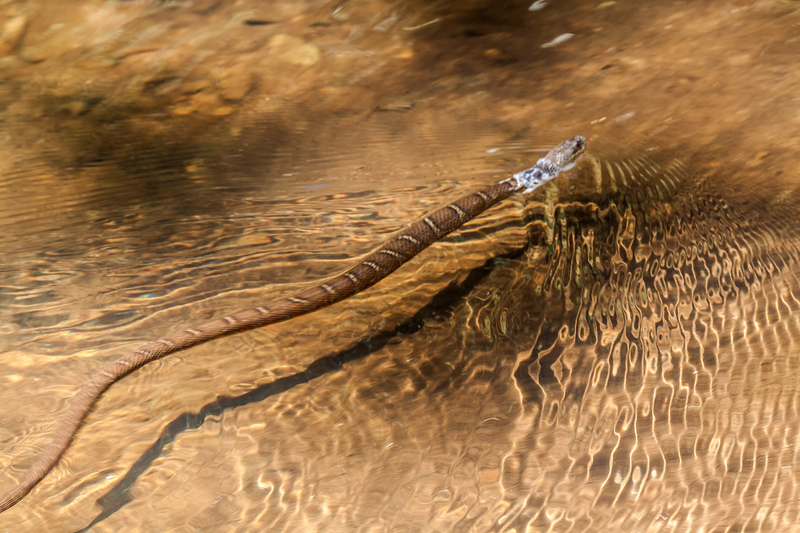 At a certain point in time, the snake became aware of my presence and began to swim away more quickly. I was happy to be able to capture a shot as it was departing that shows more of the beautiful pattern on its body and some wonderful patterns in the water too.